Jonah in the Whale, a signature Vicke Lindstrand for Kosta piece in lead crystal. At over a foot long and more than eight pounds in weight, this one is in its largest size. Etch signed "Kosta 92407 Lindstrand" and original Kosta Crystal label. 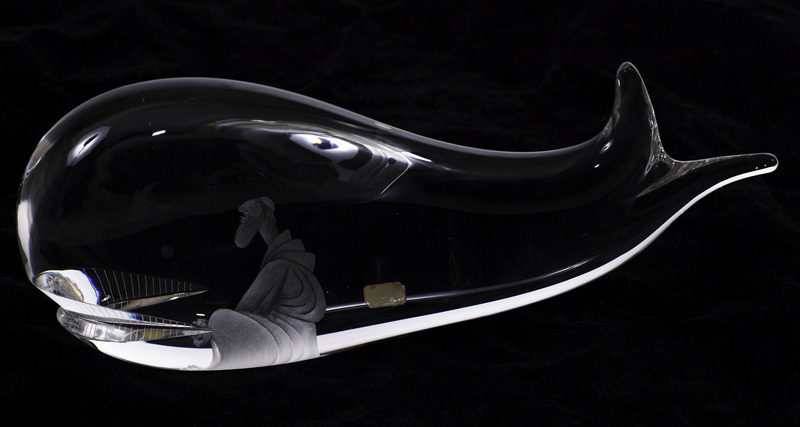 With Jonah etched on one side while the whale's eye is etched on the other.